(Alameda, California) It's a pet adoption event for the record books: 1,809 shelter dogs and cats in two counties found homes on a single weekend. The event was Maddie's® Matchmaker Adoptathon, held June 12 and 13 in California's Contra Costa and Alameda Counties. Forty-three animal welfare organizations in 72 locations participated, some of them doing as many adoptions in a single day as they normally do in a month. Overall, adoption activity was 500 percent greater than on an average weekend. Dogs and cats were free to qualified pet lovers, but Maddie's Fund offered the organizations a $500 bonus per adoption, adding up to a total outlay for Maddie's Fund of $904,500. The Maddie's Fund "financial stimulus package" is intended to ease the burdens the recession has placed on so many Bay Area animal welfare agencies. "We created this event in an ambitious effort to empty local animal shelters and the results exceeded our wildest expectations. We are absolutely thrilled that through this event 1,809 dogs and cats have found their forever homes," said Dave Duffield, Maddie's Fund founder. 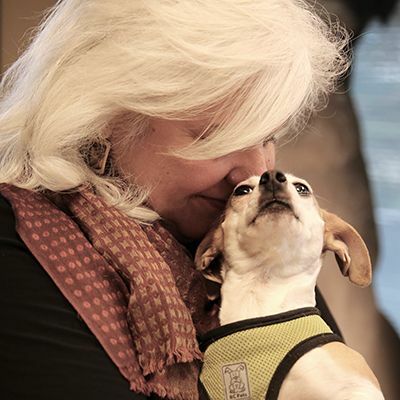 "We'd like to recognize the heroic effort of the Contra Costa and Alameda County shelters and rescues, and as importantly, the community members that showed up in masses to find their new best friends." "We went home empty handed but our hearts were full of JOY, every pet found a new forever home," wrote Paws and Tails Animal Rescue. Glenn Howell, Director, Contra Costa Animal Services Department, wrote, "We had a FANTASTIC day. I believe we adopted every available dog and cat. The animals win today!" Increased public awareness of local shelters and rescues was another huge benefit of the event. Writes Mike Murray, Chairman of Golden State German Shepherd Rescue, "Besides the adoptions, which were wonderful, I think one of the things I felt was so important, was this adoptathon introducing so many people to shelter and rescue animals. Many of whom had never adopted a rescue animal, or really knew the situations that exist for these animals. This weekend gave all the shelters and rescues a chance to educate the public, as well as find some wonderful homes for all the animals in need." As for the record-making adoption numbers, Maddie's Fund will be submitting them to the Guinness Book of World Records. Maddie's® Matchmaker Adoptathon was held in honor of the Foundation's namesake, a miniature schnauzer named Maddie. Please visit the Maddie's® Matchmaker Adoptathon website and Facebook Page to read more about this amazing event.